As a UNESCO site, Prague has been very conservative about construction of new buildings in the historical center, especially on the riverside. However, one architect was successful in the early 90s with the construction of this very modern building. Today it ranks among the most significant landmarks of Prague’s riverside. 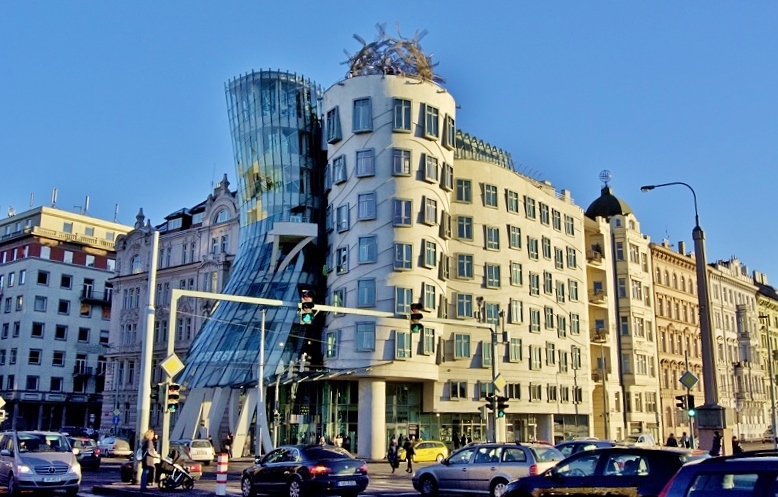 The story of the Dancing House began in 1944. Prague was targeted in error by American bombers who thought they were bombing Dresden. An apartment building which stood there received a direct hit from one of the bombs. After total destruction, there was nothing to do but knock it down. An empty space was here for decades. It was a lucky coincidence that in the late 80s Václav Havel, the first president of newly reborn Czechoslovakia, lived in a neighboring building. And Vlado Milunić (Czech-Slovenian architect) was restoring his flat next door. During their conversations they talked about the useless space right next to his house. That brought about the first thoughts of new building. It was probably because of the excitement of this early post-Soviet era that allowed this building to be constructed. Everybody was tired of the uniform blocks of flats which filled up the suburban areas. So they welcomed the idea of something new. 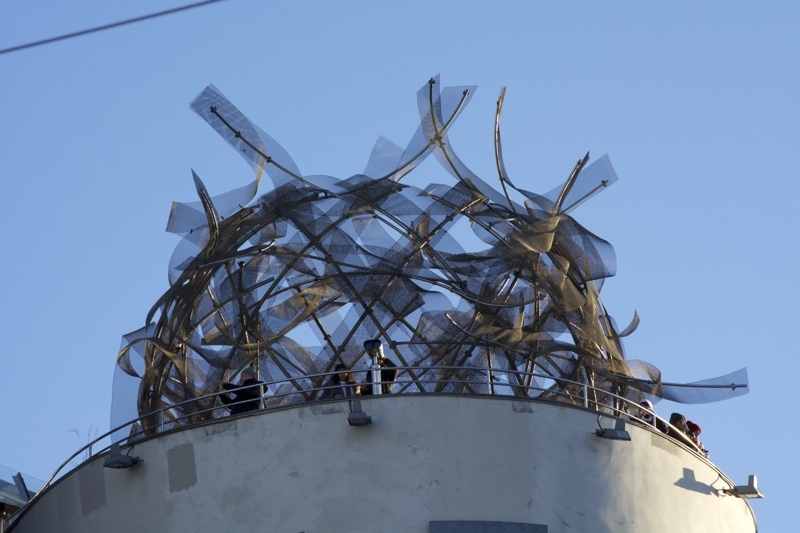 Vlado Milunić invited the well known American architect Frank Gehry to co-operate on the project. Construction was between 1994 and 1996 with finance from the Nationale Nederlanden. 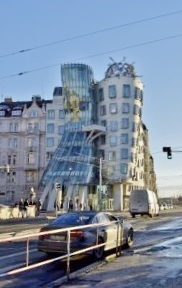 Today Dancing House is primarily for office use. The exception is a small bar at street level and French fine dining restaurant in the top floor. So if you want to see the building up close and get to know what a cool nickname this building has, ask your guide on our Bike tour across the city.